Check out Ride Channel's coverage of Dakota's surprise pro party. Thank you to Burnett and the Thrasher crew for coming out and supporting Dakota turning pro! Check out Thrasher Magazines coverage of the surprise party on this Burnout. It's official Dakota Servold is Pro! Thanks to everyone who came out tonight and Skateboarder Mag for documenting the evening. Dakota's favorite photo of all time. Board is also available here! Ryan Spencer sits down with TWS magazine and gives a break down of his board setup. 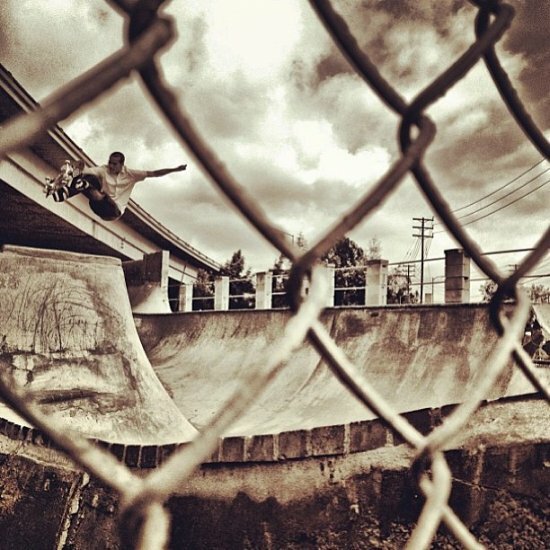 Spence blasting a fs air at Channel St.
Neighborly flip brought to you by Splowse.